The Clever Fish is a story for anyone who has ever had to make a tough decision. (Note: it is targeted at adults, not children). 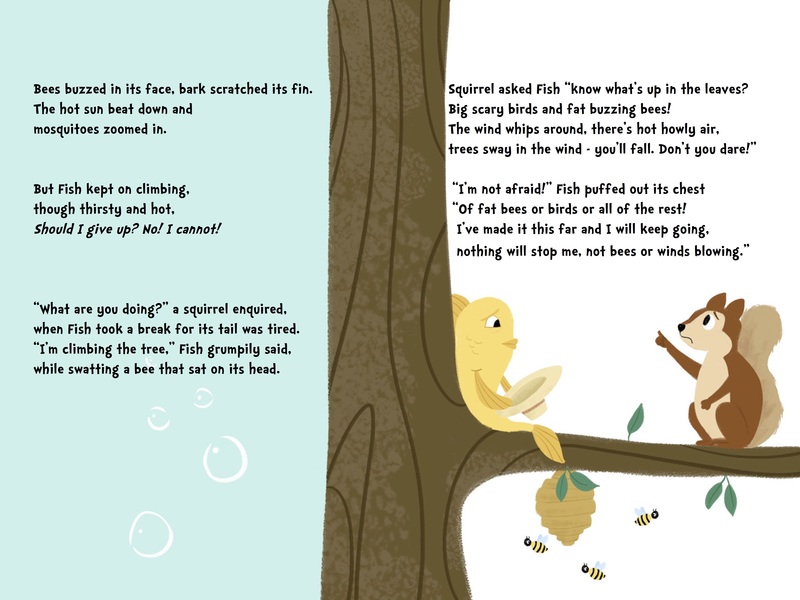 Fish studied, trained, ignored the doubters, and despite the challenges, climbed a tree. 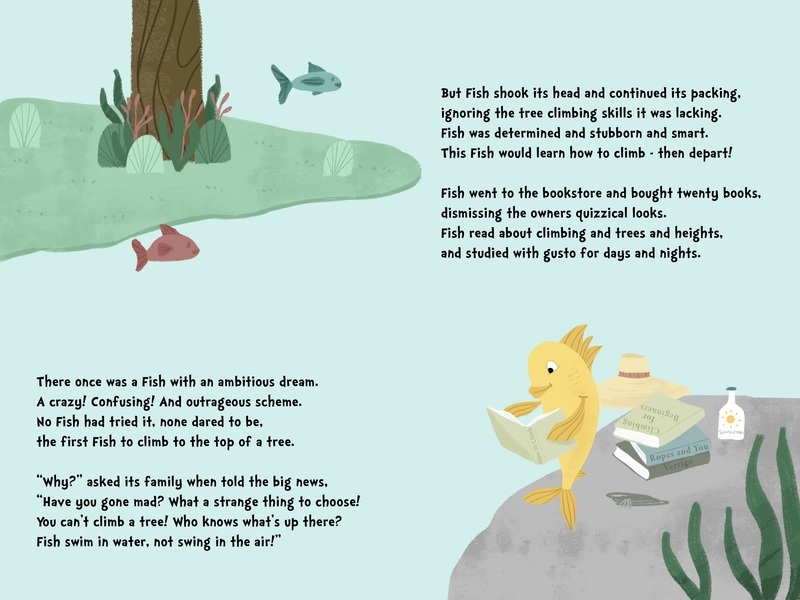 But up near the top, Fish experiences the common but powerful crisis – a decision crisis. “What’s at the top that I so badly want? 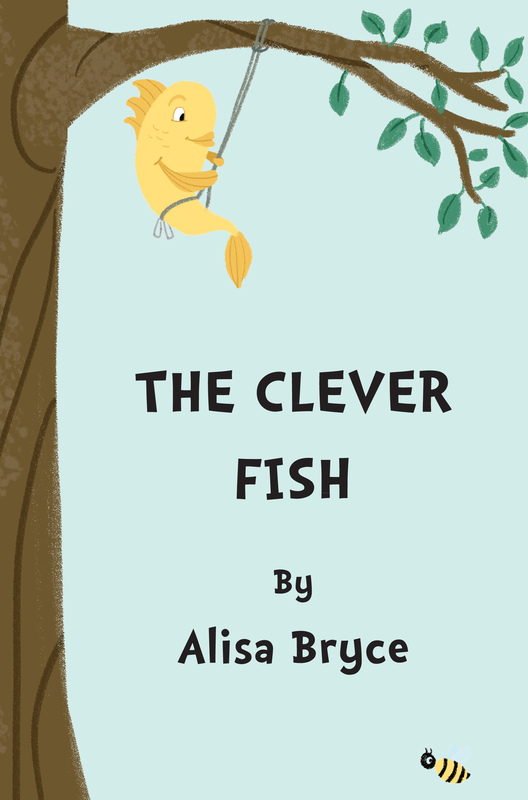 The Clever Fish is a story for anyone who has ever had to make a tough decision. 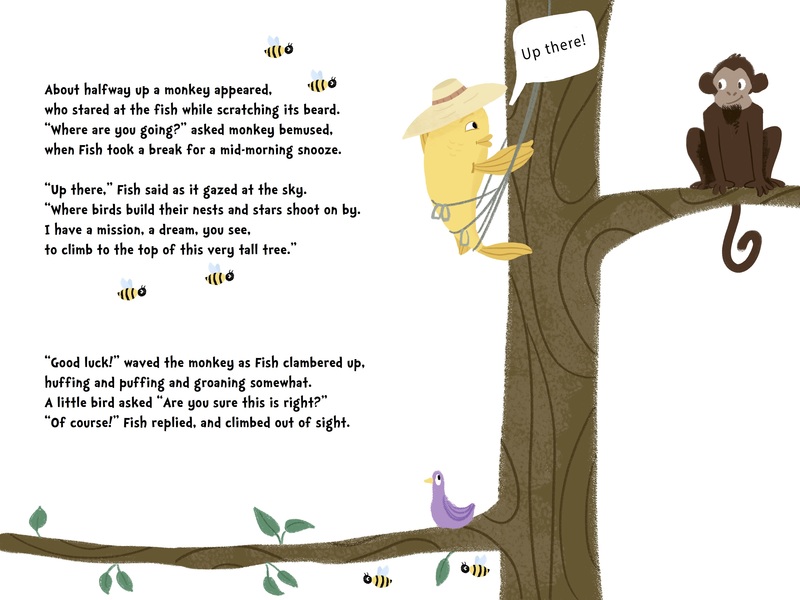 Fish studied, trained, ignored the doubters, and despite the challenges, climbed a tree. 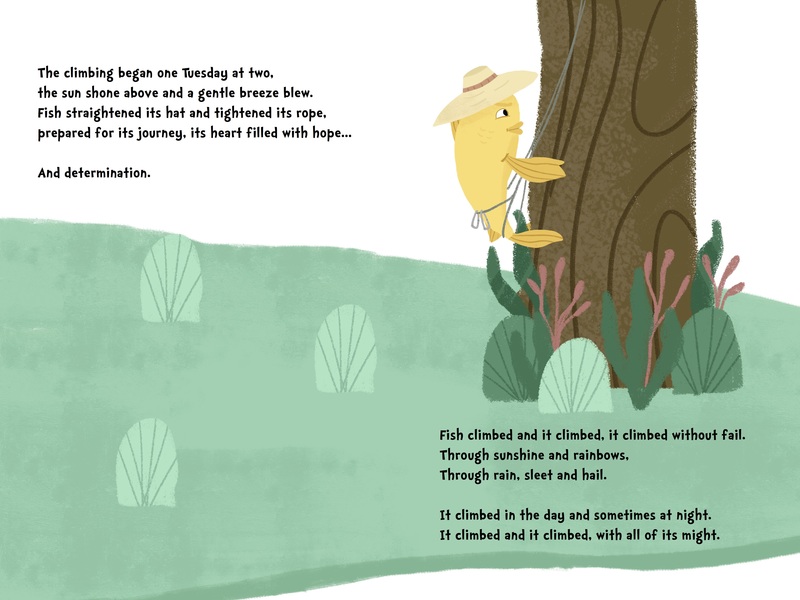 But up near the top, Fish experiences the common but powerful crisis – a decision crisis. Decisions are a part of life. They start small and become life changing. What Ninja Turtle is my favourite? Is math really an important subject? Am I popular enough? What should I study? Am I in the right career? What, on earth, am I doing with my life? Or the ever potent and punishing – what will others think of my choices? If this sounds familiar, this is the book for you. Maybe you’ll keep climbing, maybe you’ll stop, maybe you’ll descend, or maybe not. Whatever you choose is right for you, for you are a clever and special Fish too. 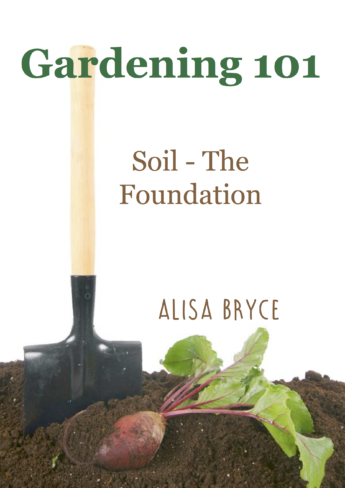 Alisa Bryce is a writer and soil scientist. She was born and raised in Sydney with her two brothers and one slightly mad border collie. 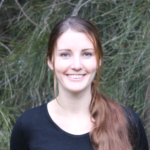 She graduated from the University of Sydney with a bachelor of science in agriculture, majoring in soil science. After four years of pretending to be a serious professional consultant, Alisa studied at Cambridge University, completing a triple Master of geography, cycling on cobblestones, and looking like an extra from a Harry Potter movie. Since then Alisa has dug holes, stood in holes, looked at soil, admired soil, tested soil, played with soil, and written about soil. In 2016 Alisa hung up her trowel (for the time being). 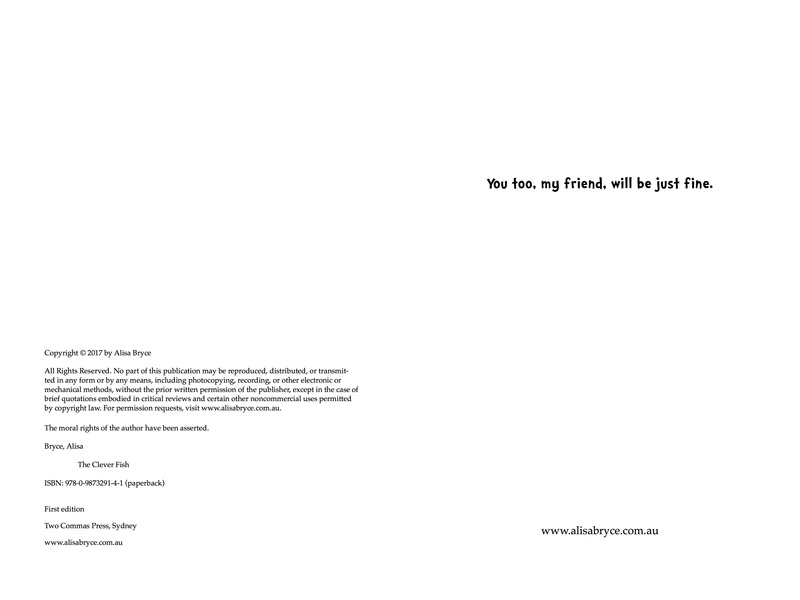 She is now a freelance writer.